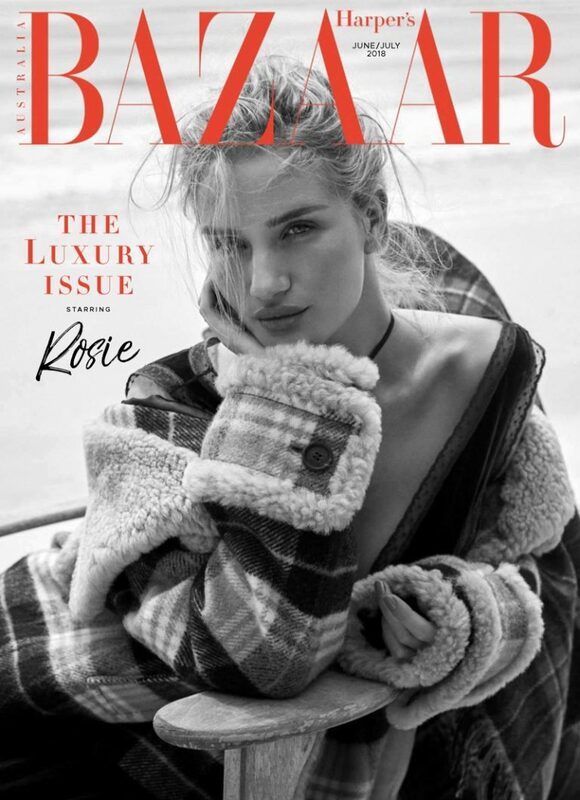 British supermodel Rosie Huntington-Whiteley covers fashion publication Harper's Bazaar Australia, issue of June/July 2018. 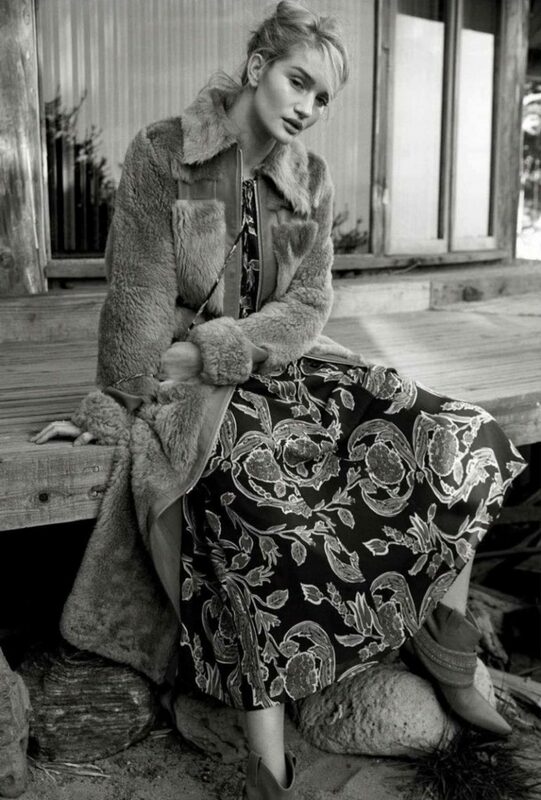 Wearing Pre-Fall designs from various designers and fashion houses, the model is photographed by Darren McDonald. 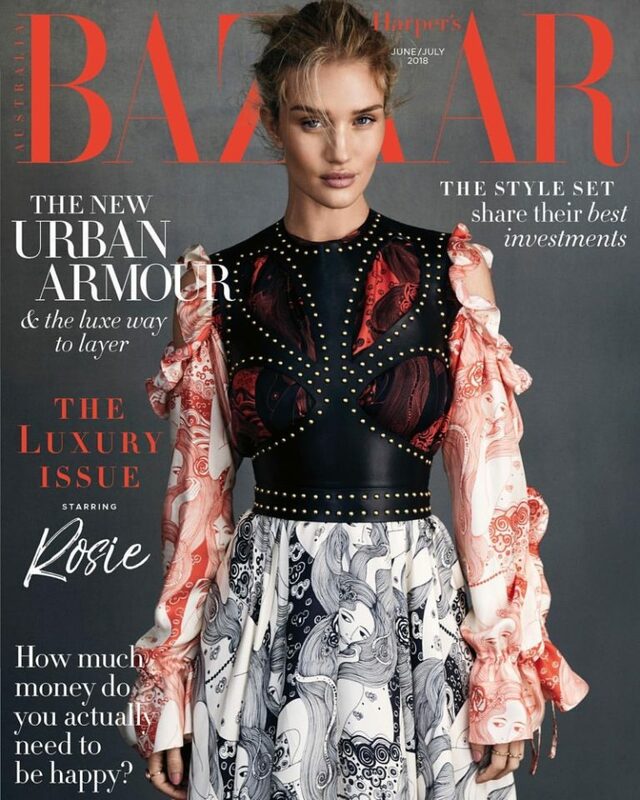 Rosie looks mesmerizing as she wears an Alexander McQueen ensemble for the cover, a printed and ruffled creation with a leather bodice. 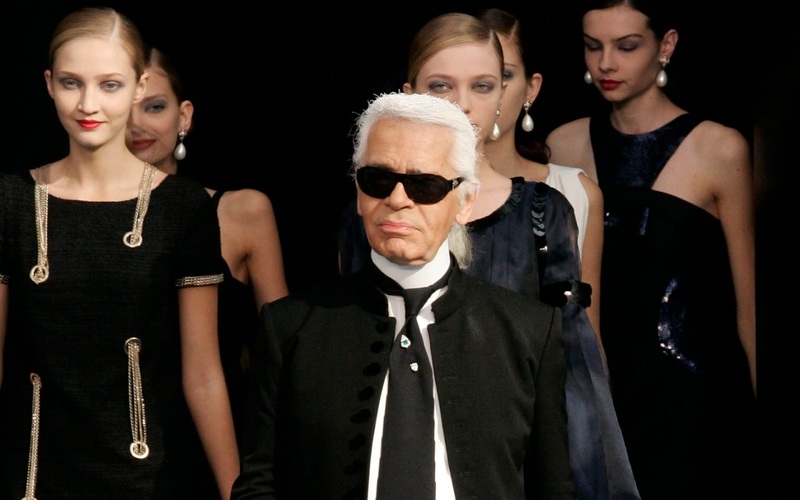 Styled by Kristen Ingersoll, the model is fabulous as she flaunts the pre-fall designs from Dior, Calvin Klein, Emporio Armani and others.